We Offer Installation and Repair Services for Residential Roofing Systems. Don’t exhaust yourself with a tedious roofing project. Raborns Roofing & Restorations certified roofers can help take the edge off by walking through your roofing project with you to make sure you always get exactly what you want. We will deliver product features, cost, and lifespan information as well as work time to keep you informed and in the loop. To schedule your roofing services in Jenkins County, GA, call the experts at Raborns Roofing & Restorations and begin your roofing project now. 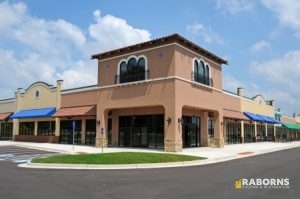 We Also Work With Many Different Commercial Roofing Materials. Because our team strives for exceptional customer service and workmanship, the Raborns Roofing & Restorations roofing team is considered a prize roofing company in Jenkins County, GA. We get rid of surprises by assessing your roof and explaining all needed work and procedures before we begin. Our experts provide roofing choices for every budget for roofing work that doesn’t break your bank. The Raborns Roofing & Restorations team provides detailed roofing solutions to ensure your complete satisfaction with every project. Our expert roofing team not only deliver information to help you decide on your materials, but we also offer advice on the care and maintenance of your roofing components to keep them strong and durable. Our roofing team takes care to look over our finished work to ensure its sustainability and longevity. Call the Raborns Roofing & Restorations professionals today at (706) 814-3207 when you’re looking for roof repair or replacement that is dependable and affordable.